The future of precision agriculture is full of exciting possibilities, including driverless vehicles equipped with safe detection technology that will lower overall cost of operation and increase return on investment. 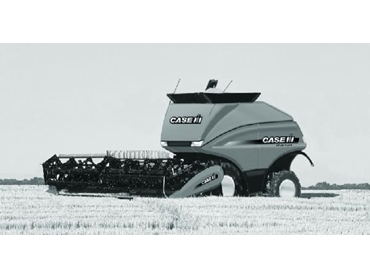 The AFS Pro 600 provides cabin control of precision agriculture technology, such as autoguidance and variable seeding rates. The software upgrades also delivered new features including paddock recognition to alleviate the need for operators to identify the individual fields they are working in, and boundary and obstacle recording to reduce the likelihood of running into obstacles such as trees and fences. In the future, equipment software upgrades will be available via the Internet, which will make it easy for farmers to keep up-to-date. “Farmers will be able to log onto our website and get the latest software to enhance their system,” says Stuart. For GPS driven systems, RTK is the most accurate system on offer today. However, according to Stuart, there’ll be a major leap forward in correctional signal technology that will significantly lower operating costs. “As time goes on and autonomous vehicles become a reality, equipment operators will become managers of process rather than operators of machinery,” he said.